On June 29, 2002, North Korean naval forces unleashed a surprise attack on South Korean battleship 357. This film tells the events leading up to the naval battle and the aftermath. South Korea is one of two hosts of the World Cup in 2002. A group of naval officers led by Lt. Commander Yoon Young-Ha have begun training as they are in charge of protecting the Northern Limit Line, a boundary that separates North and South Korea in the sea. The area is located near the island of Yeonpyeong. While some of the officers patiently wait for something to occur, Yoon is hard-headed because of his young-minded officers, who try to watch the game during their training. However, on June 29, 2002, the lives of the officers on Battleship 357 changed forever. As South Korea faced Turkey for third place in the World Cup, Battleship 357 are in charge of patroling the Northern Limit Line. What they get is a surprise attack from two patrol boats from North Korea. As the officers suddenly find themselves in the battle of their lives, fatalities are imminent, bonds strengthen, and as they wait for reinforcements, the officers of Battleship 357 must do what it takes to survive. 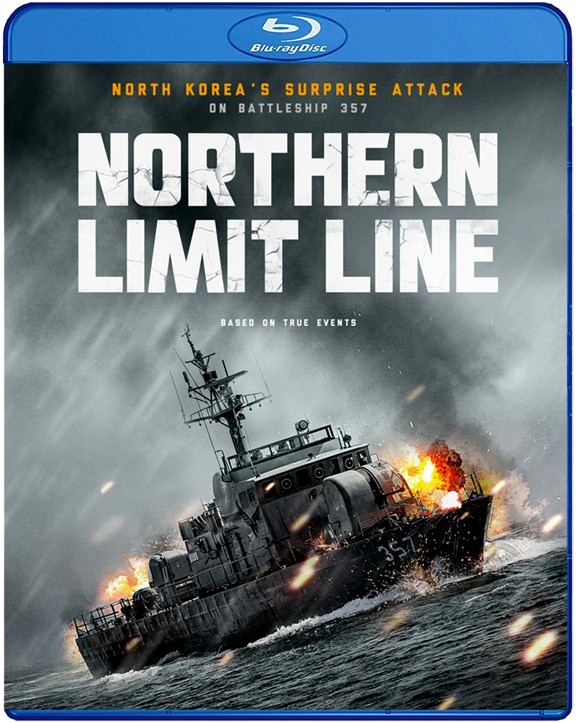 Thirteen years after the fateful Second Battle of Yeonpyeong, which resulted in six fatalities and eighteen injured South Korean naval officers, filmmaker Kim Hak-Soon brings the battle to life in this riveting biographical picture. Having a vision to bring the film to life in 2008, investors had backed out and as a result, Kim resorted to crowdfunding to make this story come to life. The result is a film not just about the battle itself, but the events before and the aftermath of the battle. The film focuses on the bonds of respect and friendship between the officers of the fated Battleship 357. The actors perform very well in their roles, with touches of humor. One funny scene involves one officer forced to hold an antenna on the upper deck so the other officers can watch the World Cup without their commanding officer knowing. The film also shows the families of these soldiers when they are on temporary furlough and the chemistry between the actors playing the officers and their members look so good it’s near flawless. The battle itself is quite shocking to watch. Shot in 3D by director Kim because he felt they needed to show that emotional strife the officers go through, it succeeds in doing just that. It helps in a major way that Kim had brought the battle to life via some of the surviving members of the actual battle, who are given interviews during a run of the ending credits. Thus, through these interviews, the viewer gets a chance to see how the battle was fought and the devastating impact it caused in South Korea. Northern Limit Line is a great example of how a true story should be achieved. While in other biopics, there tends to be factual errors, Kim Hak-Soon brings a sense of realism into the story of the fateful Second Battle of Yeonpyeong. Next Entertainment World presents a Rosetta Cinema Production film. Director: Kim Hak-Soon. Producer: Kim Hak-Soon. Writer: Kim Hak-Soon. Cinematography: Kim Hyun-Koo and Bill Kim. Editing: Steve M. Choe. Cast: Kim Mu-Yeol, Jin Goo, Lee Hyun-Woo, Lee Wan, Kim Ji-Hoon, Jang Joon-Hak, Joo Hee-Joong, Lee Min-Ho. Previous Previous post: Teaser for “Ip Man 3” arrives and in style!